SolarCity provides full-service solar with no up front costs to single family home owners who meet the basic criteria: ample solar exposure, good credit and 10 years of roof life or better. Customers simply buy solar power at a cheaper, fixed rate for decades to come. Auric makes solar easy, with affordable financing options and an expert to help you every step of the way. We refuse to cut corners on quality, and only use products we believe in. That’s why we’ve partnered with the best companies in the industry, who have been in business for decades. Now is the time to make the switch to solar power. Call us today. Synchro Solar is a locally-owned, full-service solar energy contractor serving Oregon and Southwest Washington that specializes in the design and installation of completely custom solar electric and solar hot water systems. 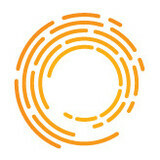 At Synchro Solar, we’re in the business of honesty, accuracy, and sustainability. Sundrenched News is journalism that delivers the latest solar news and renewable energy innovation pertaining to climate change, social justice, and shifting the world from dirty energy to clean energy. We are a voice for organizations, people, and technology in solar and other renewable energies that advance our global society toward a thriving, just, and sustainable planet for all. Oregon Solar Group is Portland's top choice when it comes to solar. Our team consists of experienced engineers and construction professionals. We offer solar installation services, solar electrical services, and solar roofing services. Get 18 months of free solar. Lower your utility bill. Enjoy a speedy installation from a full-service, top-rated solar company in Portland. 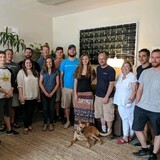 With over 10 years experience in the solar industry, Shift specializes in commercial solar design, financing and installation for Oregon businesses. Check out our website or reach out to us to discuss your interest in a project or to see a free proposal! Good Energy Retrofit, LLC is a woman-owned and operated, full service home performance contracting company serving the Portland Metro area. Our company's goal is to maximize the comfort, safety, and durability of buildings while minimizing their operating costs and environmental impact. We are selected contractors for Clean Energy Works Oregon and a 3-Star Trade Ally of the Energy Trust of Oregon. Our Home energy audits and energy efficiency upgrades will help you save energy! GreenLight Solar is one of the Pacific Northwest's fastest growing solar power providers. We make clean energy available to homeowners and businesses with no upfront costs and typically less than they pay for energy generated by burning dirty fossil fuels. Our goal is to install solar systems using the best products in the industry while making the switch simple for our customers. We are your premiere choice for energy efficient contractors in Vancouver Washington and the Greater Portland, Oregon area! From making a building permit application through to doing all of the paperwork so you can receive your solar energy system in WA incentives, at Sunbridge Solar, we’ll handle everything for you. What’s more, our expert technicians understand all about the different building codes in every location that they work in. Legend Solar is a leading solar power provider and installer west of the Rocky Mountains. 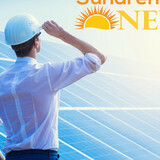 Legend Solar is also an exclusive SunPower distributor. James Batista is an SEO Specialist, working for NewSoftwares.net. We are a complete One-Stop Shop for all your home or business needs! Let’s say you want a solar electric system for your home. An off-grid system basically consists of solar panels and battery banks. These battery banks store the sun’s energy so you can use electricity at night or on a cloudy day. This system is designed to keep household electricity running for about two or three cloudy days; longer cloudy periods require a backup generator. To install an off-grid system, you’ll want to hire a certified Oregon solar energy contractor. Along with off-grid solar, wind and hybrid energy systems that include batteries and backup generators, there are also grid-tied solar and wind operations. Grid-tied systems are attached to your Portland, OR utility company so if you produce more energy than you use, your meter goes down and you build up energy credits. Can you give me any information on Oregon solar rebate programs? 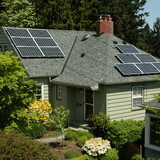 Find solar energy contractors in Portland, OR on Houzz. Search the Professionals section for Portland, OR solar energy contractors or browse Portland, OR photos of completed installations and look for the solar energy contractor’s contact information.